Bucharest-Hotels.co.uk offers you an easy online-booking/phone support service for Oradea hotels and provides helpful information with photos and details for each hotel in Oradea. Book with us and get low rates for rooms in Oradea hotels, all types of accommodation in Oradea from budget hotel to luxury hotels, apartment rentals, cheap guest houses, budget pensions. 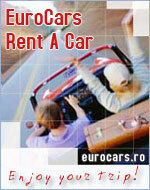 Do you need accommodation in Oradea? Continental Hotel is located in the center of Oradea, on the shore of Crisul Repede River. Easy access toward railway station, airport and E60. Maxim Hotel located in downtown, away from busy life, is one of the most luxurious hotels in Oradea, being close to many tourist attractions. If you are on a business trip or want to spend a relaxing stay,RHC Royal Hotels is available, is just 3 km from Oradea International Airport. Elite Hotel located in downtown Oradea, being close and the Olympic Basin, is a 4 star hotel that will satisfy the most demanding tastes.